Beijing fires back after US Secretary of State Mike Pompeo accuses China of prolonging crisis in Venezuela. Beijing fired back at the United States on Monday after US Secretary of State Mike Pompeo criticised China's role in Venezuela as prolonging the crisis there. 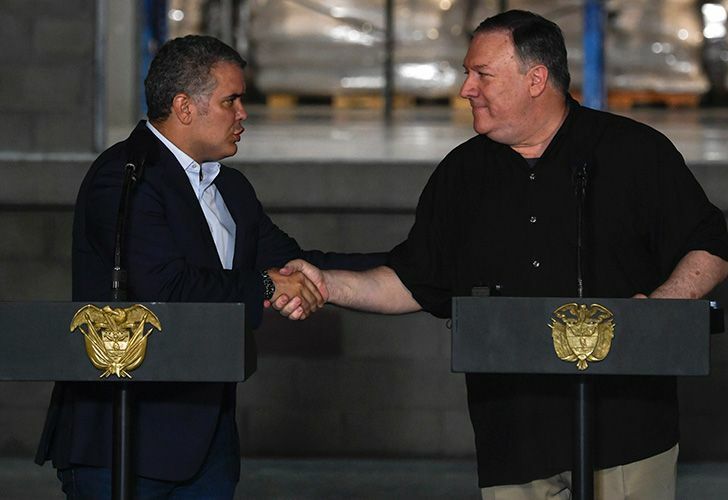 Pompeo's accusations were "unfounded" and "deliberately drove a wedge" between China and Latin America, Chinese Foreign Ministry spokesman Lu Kang said at a regular briefing. He said the US official had "wantonly slandered" China-Latin America relations. "The words and deeds are despicable. But lies are lies, even if you say it a thousand times, they are still lies. Mr Pompeo, you can stop," he said. 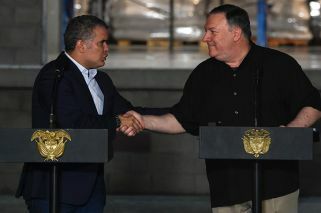 Pompeo said last Friday that China's financing of Venezuelan President Nicolás Maduro's government helped "precipitate and prolong" the country's crisis. He accused China of investing more than US$60 billion of "no strings attached" funds that were used for actions such as crushing pro-democracy activists and bankrolling ineffective social programs. US President Donald Trump's administration, which recognises opposition leader Juan Guaidó as Venezuela's interim president, has been trying to remove Maduro from power. China, meanwhile, is a close ally of Maduro and has urged other countries to not intervene in Venezuela's affairs.